This is the most common cover in NZ. Although it is based on the standard owner occupied house policy, much of the standard cover deleted e.g gradual damage, accidental damage & temporary accommodation. In some cases the policy wording includes these covers, but then states that they do not apply if the property is tenanted, leaving some landlords thinking they have more cover than they actually have. As the name suggests these sit ‘on top’ of a standard house policy, the house policy provides the cover for fire, storm damage and alike while the top-up policy provides the cover for tenant risk such as ​m​alicious damage, “P” and rent arrears. These policies have their place, but in our view they should only be used for apartments and other body corporates, where by law the body corporate has to insure the building. Cost – by the time you have the cost of the base policy & top-up policy, this is usually more than a full landlord policy and the cover is not as good. Some landlords have taken this policy thinking it was all they needed, meaning that they are not covered, if for example the tenant accidentally burnt the house down, or the house suffered storm damage. With some top-up policies a valid claim ca be declined if you do not have a base policy. Conflicts between the basic house policy and the top up policy. For example, if the tenant maliciously sets fire to the house, the house policy will not payout. Although it covers fire, it excludes malicious acts by the tenant and the top-up policy will also not payout. Although it covers malicious acts (up to $20-30,000) because it excludes fire damage, the landlord may be left with a mortgage to pay, a damaged house which can’t be rented and no claim payment. These are modern policies that provide both the standard house cover & top-up cover all in one policy. The house is usually covered for its replacement value (for non tenant damage) meaning you should not be under insured in the event that the house is damaged by a storm, earthquake or accidental fire. The malicious damage cover provided by different policies ranges from $1,500 to $30,000. We recently picked up one client who had asked his insurer if the rental policy they were offering him included malicious damage and P, they said that it did, so he bought the policy. It was only when he went to make a claim that he found out that the malicious damage & “P” cover was limited to a maximum of $1,500, which left him significantly out of pocket. The excesses vary significantly from insurer to insurer, especially for “P” claims, with one major insurer having a $2,500 excess – 5 times the excess of other policies. 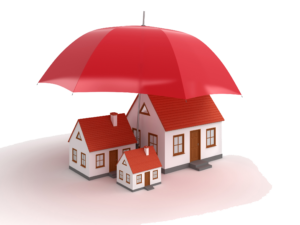 Some policies provide additional cover such as gradual damage. However, the amount of cover ranges from $1,000 to $5,000 and the quality of the gradual damage cover varies widely between policies. Some only cover leaks from internal (inside the wall) waste water pipes. others cover leaks from water supply & waste water pipes and tanks. As with all insurances it is vital to read & understand the policy wording, especially the conditions and exclusions. Good cover may not cost more & even if it does, remember why you have insurance – getting it wrong could ruin you. Finding the right insurance solution is not for the fainthearted, it should be done preferably with a broker who can consider your individual circumstances and recommend the best insurance solution! Good cover does not cost – it pays!